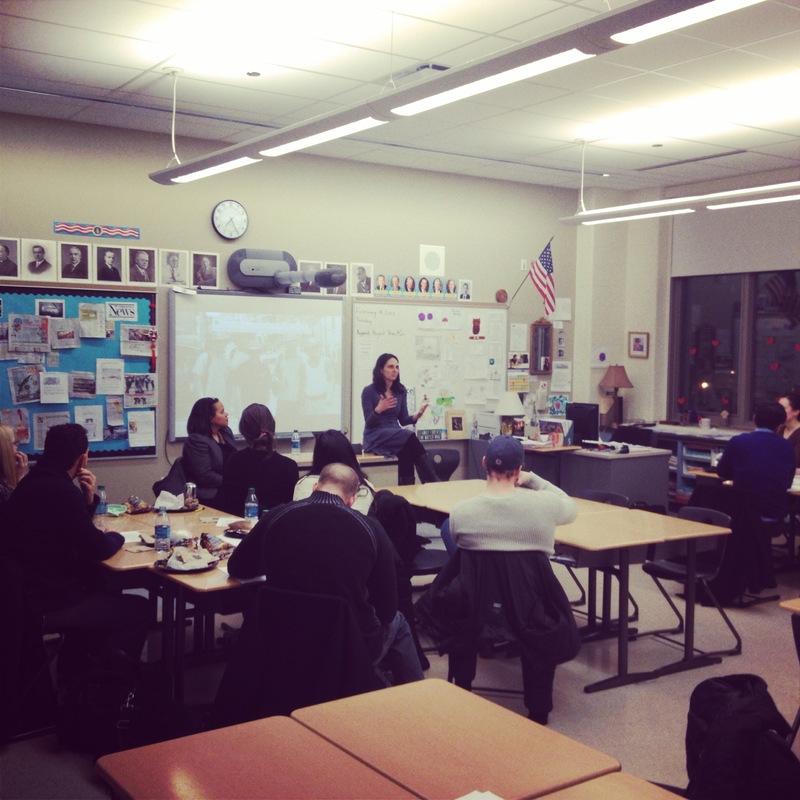 Just yesterday, we hosted the fifth session for the Revive the Dream Fellows Program. Our Fellows were lucky to spend the evening with Melinda Spooner (Executive Director of Achievement Network) and Melissa Zaikos (CEO of Intrinsic Charter Schools). The topic of the evening was Technology and the Common Core. On the positive side, the Common Core standards will allow states to know how they are doing. They can compare standardized test scores against other states, increase the standards and rigor in the classroom. This means that the student should be better prepared for college and likewise, it means that over time all states will theoretically have the same level or rigor, so if a student moves to a new city, county or state, the level of education elsewhere will be simillar. On the other hand, many people think that this is easier said than done. That the execution is not only difficult but perhaps impossible. Not only will the standard be a tough adjustment for students but also for the teachers initially. It is not the way many teachers are used to teaching and now they are being asked to change their style and content and get evaluated on it. Likewise it’s also not the level of learning students have been asked to do for the past three decades. Moreover, there is not a good plan in place for students with special needs and the standards don’t do much to account for different starting points of students. On the other hand, some people remained optimistic, understanding these challenges are similar to those that come with running any school, and making change in the education space. They realize that there is a lot of work to be done, and increasing standards of learning is one step we need to get there, among others. We talked about all of these hard topics and more in our session last night with Melinda and Melissa. Thanks to programs like Revive the Dream and Education Matters we hope to continue to help spread ideas about the issues equip up and coming leaders to solve these education issues over time. Thanks to Melinda and Melissa for coming to speak to our Fellows. 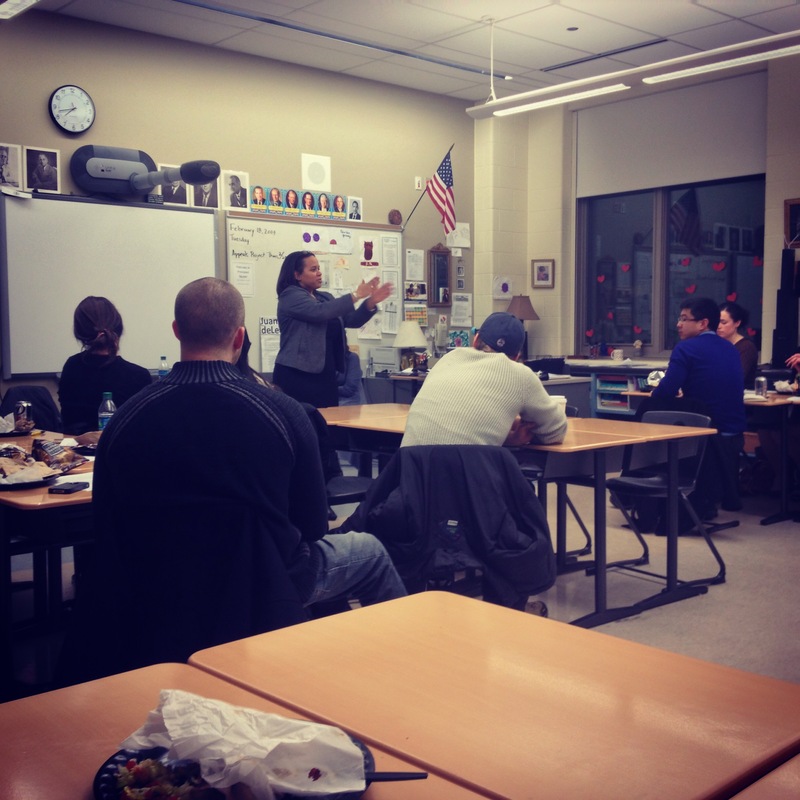 * Below is a photo Melinda Spooner speaking to the group about her role as Executive Director of the Achievement Network in Chicago.